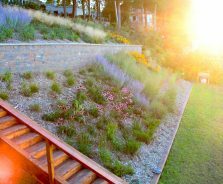 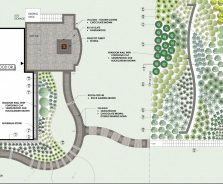 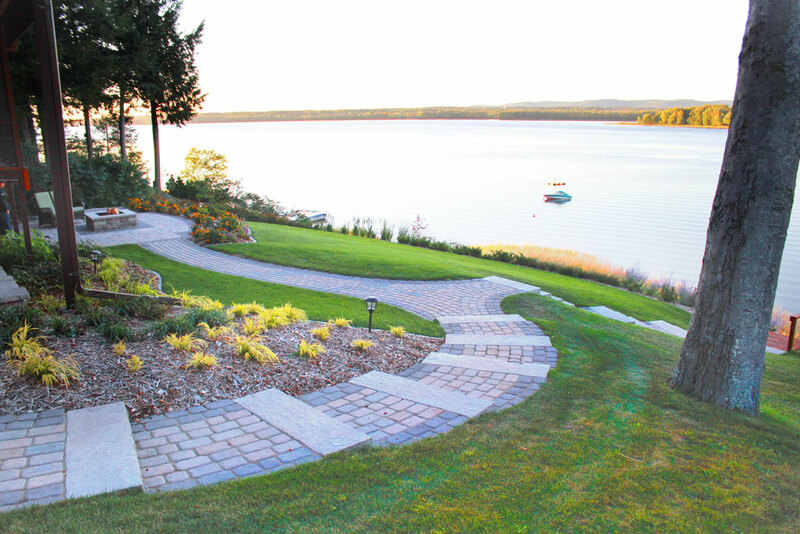 Due to the home’s location on a steep hill overlooking the Ottawa River, a non-traditional approach was used to install a magnificent 50 foot long retaining wall. 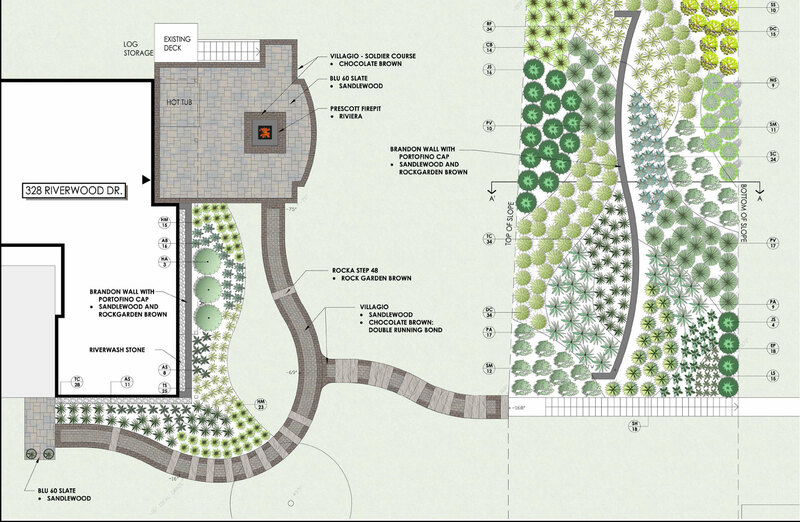 A 90 tonne crane was used to haul in an excavator, aggregates and retaining wall blocks. 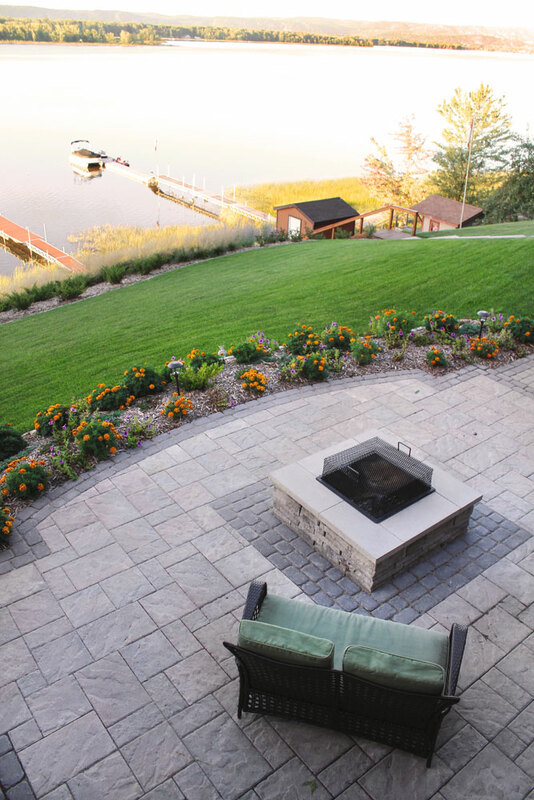 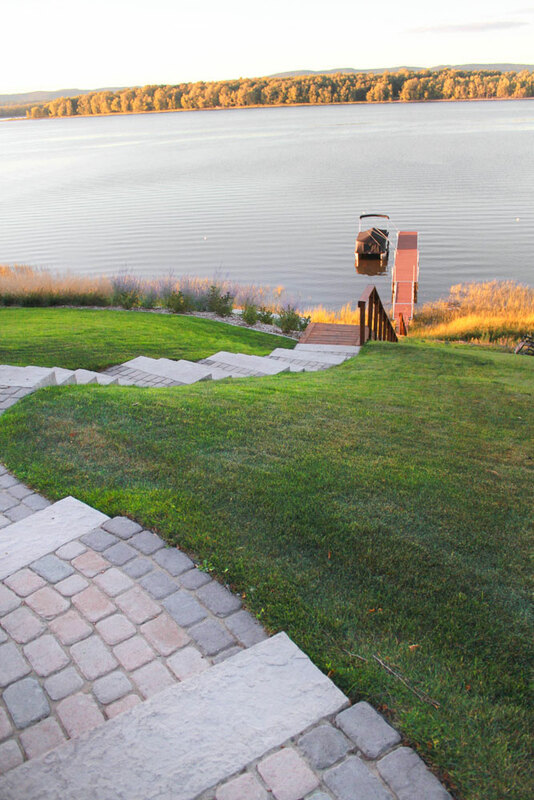 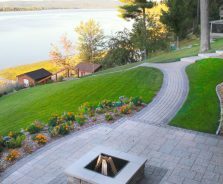 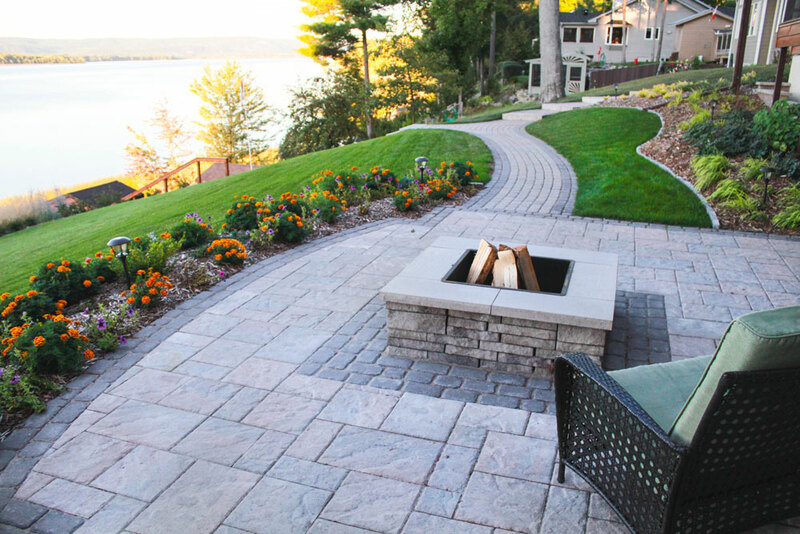 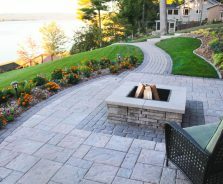 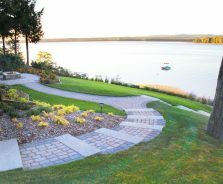 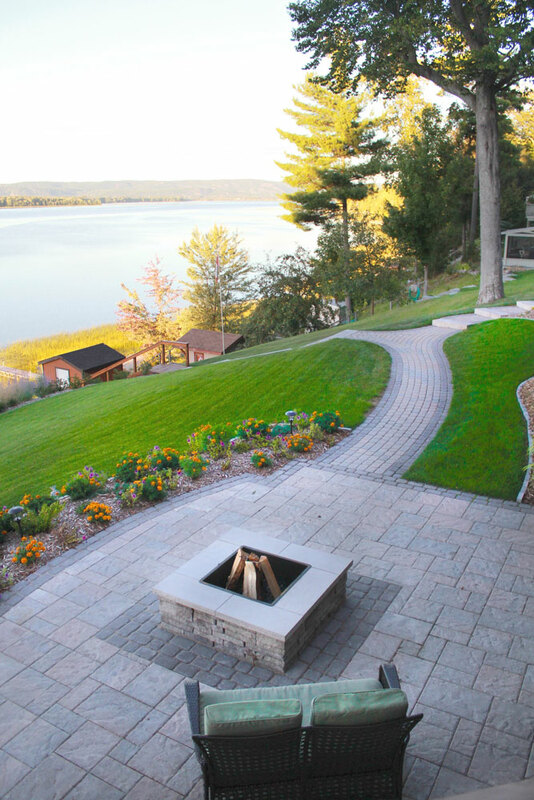 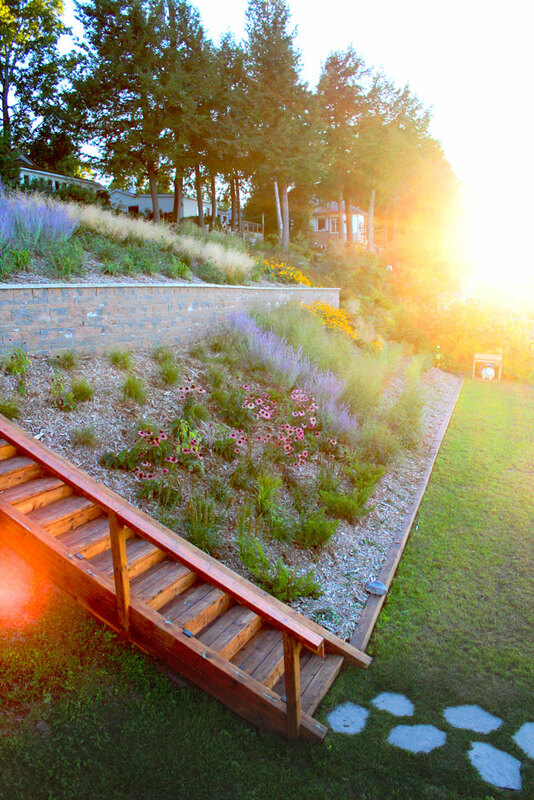 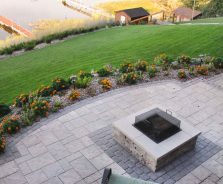 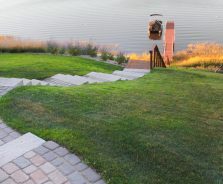 Interlock walkways take you to a raised fire pit overlooking two-tiered gardens and the boats below.